Have you ever had a question and either didn't know where to find the answer or were too afraid to ask? If so, you've come to the right place. 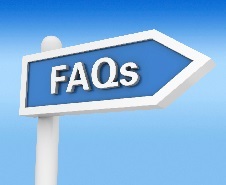 As the name would suggest, this section is a compilation of answers to the questions our clients commonly ask. Just start by following one of the links below. Can signs really help my business increase profits?